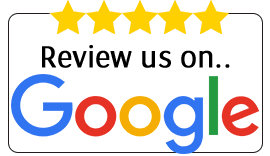 You may have heard about the Automatic Door from BBG which is an automatic sliding door with magnetic linear motor technology. The automation box measures only 60×65 mm, and is exclusively designed for interior doors. With such a minimal design it is possibly the most discrete and elegant interior door solution, and with the smoothest and most silent movement currently available. 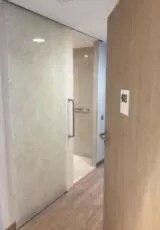 This unique sliding door system combines the size of a manual sliding door track, with the advantages of an automatic door and is perfect for residential design and hotels. We have recently looked at a number of unique applications for this specialist internal door system. Could any of these be useful on your on project? Activated by simply pushing the door handle (Push & Go), or by means of a push button or touch-less switch, the door will automatically open. It dramatically reduces the glass shattering risks caused by misuse, and improves the convenience to the end user. The automatic sliding door in rooms and common areas, contributes to the accessibility of persons with reduced mobility. This special application used a set of push buttons located outside and inside the toilet. These are used to access the washroom and to keep the door closed and locked while in use. LED indicators inform users if the toilet is free or in use, while an emergency key switch will allow opening the door from the outside in the event of emergency. 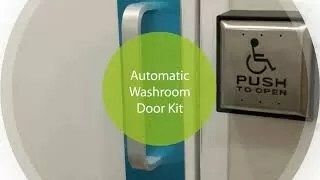 An ideal solution for toilet rooms in common areas like restaurants, hotels, or private toilets for persons with reduced mobility. 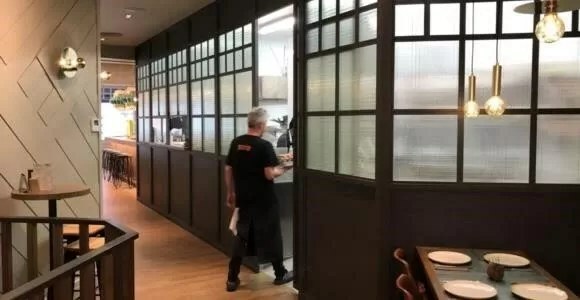 Use the In Motion sliding door to automate the access to meeting rooms and private dining areas to increase the privacy of guests. It adds convenience and privacy during family or corporate meals. 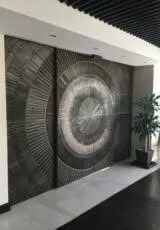 We use the In Motion sliding doors as the entrance door to our rear private meeting room at the Courtyard Showroom with touch-less switch for control. Thanks to its compact design, the In Motion automatic door operator can be easily hidden above a false ceiling for a minimal interior design. 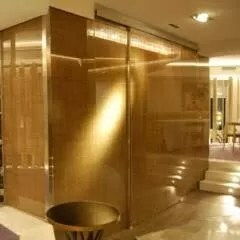 The laminated glass of the sliding door can be finished with a wide range of decorative effects including printed and decorative inter-layers, translucent finishes and colored glass. Reduce the flow of smell and fumes in open plan living spaces. Use the door in automatic mode and walk through the door even when your hands are full. Or use the remote control to leave the door open. All this thanks to an automatic door operator with the size and design of a manual sliding door track. The automatic sliding motor at the head is the same size as a simple sliding track for a manual door! 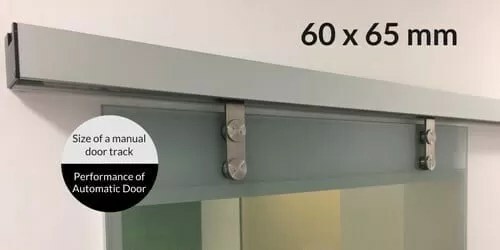 The possibilities are almost endless and we have a number of these automated doors on show at the showroom so let us know if you want to come and see any of our own special applications in person. The Sheraton Los Angeles San Gabriel Hotel, opening in January, will be the first U.S. hotel to tout eight TUG robots developed by Aethon, a provider of autonomous mobile robots. Aethon’s robots will be introduced at Sheraton’s newest Los Angeles property, located in San Gabriel, 10 miles from downtown Los Angeles. Visitors to the 288-room stylish hotel will be greeted by Aethon’s 4-foot high, friendly-looking innovative TUG robots whether looking for directions to elevators or receiving an in-room delivery. 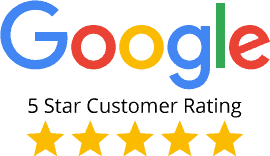 Manufactured by Pittsburgh-based Aethon, the TUG robots have a proven track record of success in the hospitals globally making more than 50,000 deliveries each week. The robots will easily navigate through the hotel using an internal built-in map. 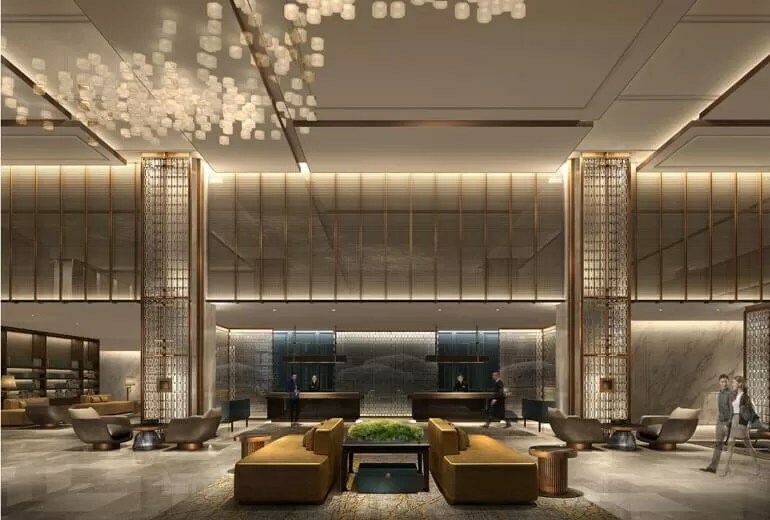 TUG also has sensors that will allow it to safely move around people and obstacles, and it will use the hotel’s WiFi system to communicate with elevators and automatic doors. There will be one “wayfinding” robot that will take guests to destinations on the first floor. 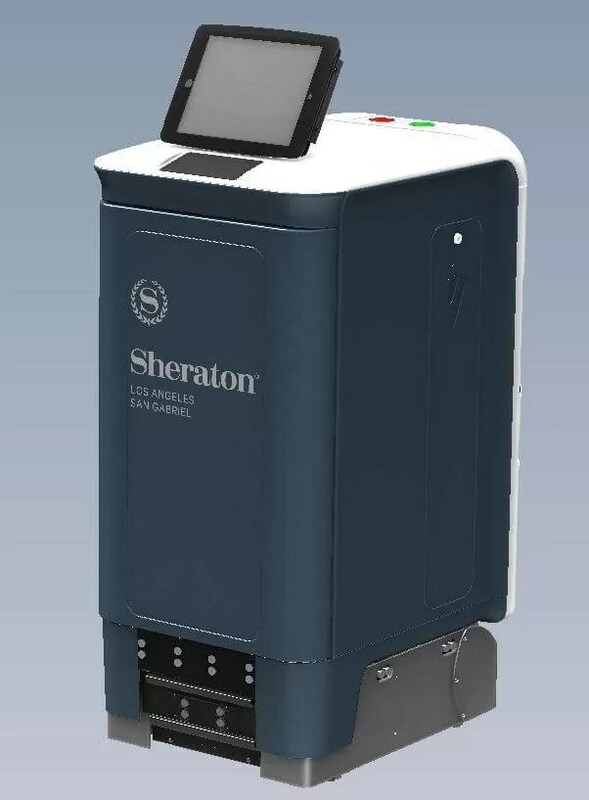 The other seven are “multi-use” robots that will use the service elevators to deliver in-room items to guests such as luggage, meals, fresh linens and other guest items. The robots will be programmed to call the elevator, open service doors and ring guestroom phones when they arrive at the door. When finished with tasks, the robots navigate back to a charging dock before heading out again. 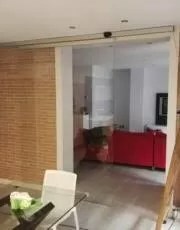 This unique sliding door system combines the size of a manual sliding door track, with the advantages of an automatic door and is perfect for residential design and hotels. We have recently looked at a number of unique applications for this specialist internal door system.